As Toronto death henchmen TOMB MOLD ready for the gore of their bizarre Manor Of Infinite Forms LP to spew forth via 20 Buck Spin this Friday, the album has been disentombed through an early stream at Decibel Magazine. The album strikes as the horde prepares to head out on tour with Of Feather And Bone. Tracked with Sean Pearson at Boxcar Sound Recording in Toronto, then mixed and mastered by Arthur Rizk (Power Trip, Pissgrave, Code Orange) at Solomon’s Gate in Philadelphia to achieve its organically huge mix, TOMB MOLD’s Manor Of Infinite Forms is draped in appropriately weird artwork by Brad Moore (Morpheus Descends, Organic Infest). 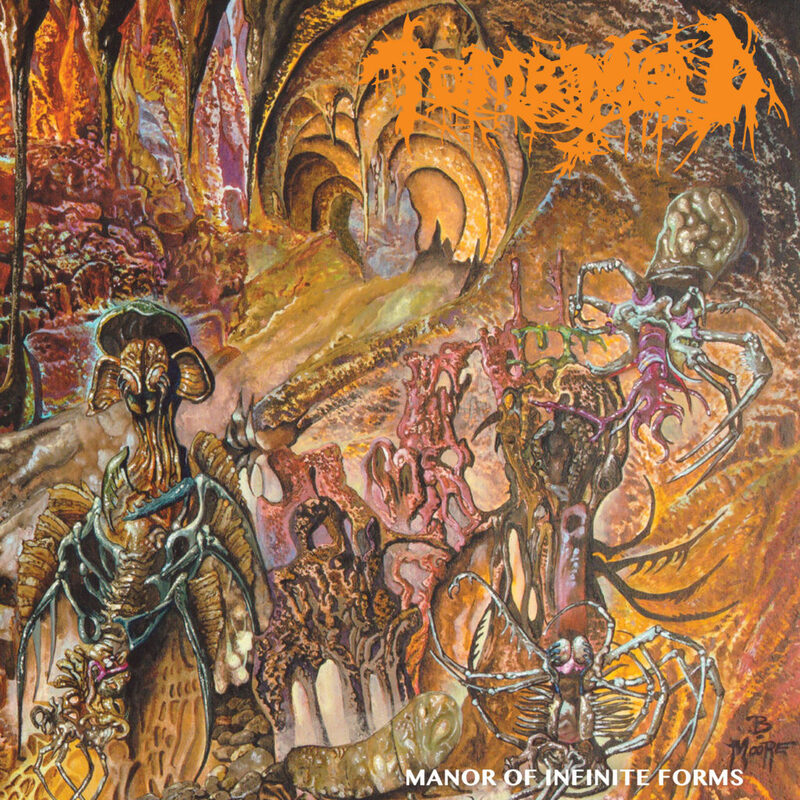 Endure TOMB MOLD’s Manor Of Infinite Forms at Decibel RIGHT HERE. 20 Buck Spin will release Manor Of Infinite Forms on LP, CD, cassette, and digital formats this Friday, June 8th; find preorders are the label’s webshop HERE and Bandcamp HERE. TOMB MOLD is preparing to tour their way across the North American plate alongside their brethren in death, Of Feather And Bone. The tour hits Austin Terror Fest on June 15th alongside Yob, 40 Watt Sun, Bell Witch, Pinkish Black, Sixes, and more, then rips through the Southern region and up the East Coast into Canada, ending in their hometown on June 26th. July will see TOMB MOLD taking part in Migration Festival in Pittsburgh, alongside Zombi, Mournful Congregation, Pelican, Bongripper, Krallice, Khemmis, Deadbird, and more. A set at Quebec Deathfest in October is confirmed, and additional tour dates are to be expected. TOMB MOLD’s anxiously awaited Manor Of Infinite Forms arrives like a bizarre insectoid of mutant genotype, constructing monumental towers of obscure shape, jarring yet coherent. The band’s compositions evoke a distorted world alongside our own where all manner of oddity and peculiarity are permitted. 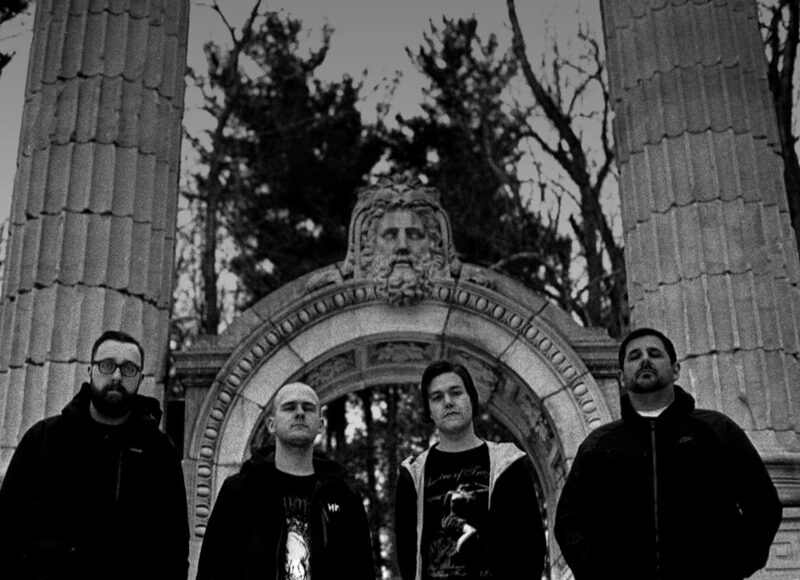 The band’s prior LP, Primordial Malignity, was named in Spin’s 25 Best Metal Songs Of 2017, and Manor Of Infinite Forms itself was included in Decibel Magazine’s Most Anticipated Albums Of 2018. Songs on Manor Of Infinite Forms move in strange ways, recklessly contorting into cohesion until suddenly they’re proceeding with a force and purpose in perfect synchronicity to the universe that contains them. Disharmoniously melding the pulverizing heaviness of Finnish death metal with a never overbearing striking technicality, TOMB MOLD careens through world after world of alien landscape with formidable singularity. Fans of Demilich, Cthellist, Demigod, Timeghoul, Gorguts, Adramlech, Blood Incantation, Convulse, and the like, tune in. A remarkable puzzle of an album, Manor Of Infinite Forms constitutes a creative high point for 2018’s many strong death metal releases.